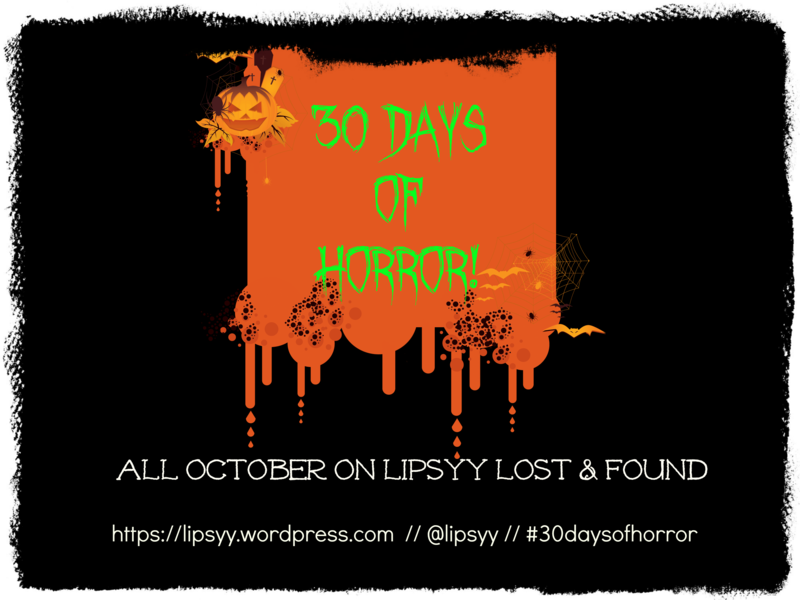 Join me for 30 Days of Horror in which we spotlight one horror book every day until we reach Halloween! Tonight’s horror book choice is one that I was pleasantly surprised by. I’ve liked most of the Stephen King books I’ve read but perhaps not as much as some people. I didn’t know what to expect from a Shining sequel though, especially so many years after the first was published. But I thought Doctor Sleep was a great effort. And well worth revisiting. Read this? What did you think? 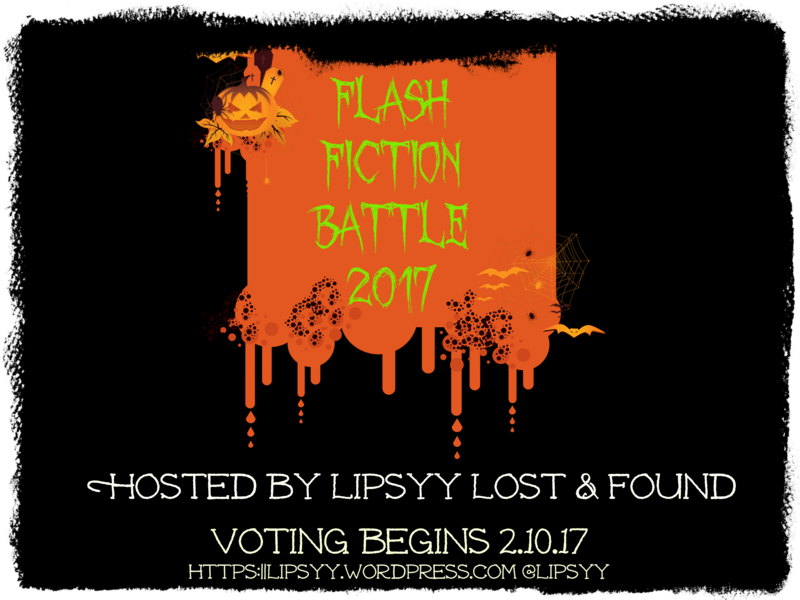 Don’t forget to vote in the flash fiction battle! Tonight’s pick is a classic. I haven’t read it, but I saw the movie adaptation late one night when I was probably too young to watch it, and boy did it stay with me. As I got older and started reading horror books, I remembered it and was sure it must be a Stephen King novel. It’s very King-esque. But no, it’s Dean Koontz’s Phantoms. I must read it at some point. I love these retro covers too! At first they thought it was the work of a maniac. Or terrorists. Or toxic contamination. Or a bizarre new disease. What will day 20 bring? Misery Chastain was dead. Paul Sheldon had just killed her – with relief, with joy. Misery had made him rich; she was the heroine of a string of bestsellers. And now he wanted to get on to some real writing. That’s when the car accident happened, and he woke up in pain in a strange bed. But it wasn’t the hospital. Annie Wilkes had pulled him from the wreck, brought him to her remote mountain home, splinted and set his mangled legs. The good news was that Annie was a nurse and has pain-killing drugs. The bad news was that she was Paul’s Number One Fan. And when she found out what Paul had done to Misery, she didn’t like it. She didn’t like it at all. Whether you’ve read the book and/or seen the film, I’m guessing most people are aware of the story of Misery, so I won’t go into detail about the plot. I have been meaning to read (or reread) this book ever since I got a World Book Night edition of it, but I honestly couldn’t remember if I’d read it before – as a teenager I suspected (yes, my memory really is that bad. I blame all the booze). It also doesn’t help that I’ve seen the film a bunch of times. It wasn’t until I was about half-way through that it all started to come back to me. The differences between the film and King’s original novel are few, but certainly significant. I don’t think Stephen King should be called ‘a master of horror’. Woah, I know, he is great, but hear me out. King’s most successful books, for me, aren’t what I would class as horror, but as suspense. And I certainly think he’s a master of suspense! Don’t get me wrong, a lot of what makes something ‘horror’ is the suspense, but I’d say 90% of Misery is made up of suspense, followed by 10% horror. He is also a master of characterisation. Everything he does is character-driven, and that’s why his books are so compelling. And why it’s so horrific when it all inevitably goes wrong. In this case, I didn’t find the main character, Paul Sheldon, very likeable at all, which makes it even more impressive at how sorry I felt for him. The main thing that struck me when comparing the novel to the film, is that what happens to book Paul Sheldon is sooooo much worse than film Paul Sheldon, but I still found the film much scarier. Even after a few watches it still gets to me a bit. The penguin!!! I’m not sure what that says about the novel, or maybe it just shows what a great film it is, and worthy of its Oscar (I defy anyone to not picture the terrifying Annie Wilkes as Kathy Bates), but essentially both mediums of this story are worth a go, and perfect for this time of year. Wow, the first TWIB of Horror October is here already! Throughout October, I’ll be doing the short version of this post where I will simply share what I’m reading now, then and next. Because quite frankly, there’s enough going on around here. I’m afraid to say that my answers are the same as last week because I was too busy trying to launch #HO17 (and drinking gin with my mum) to get much reading done. I have caught up now though, so I’m ready to get stuck right in to some horror reads! If you haven’t already, pleeeeeeeease take just a second to vote for your favourite horror story prompt for my second Flash Fiction Battle, below. I’m enjoying The Silent Companions but it is a bit slow-going. I hope it picks up a bit. I haven’t got any further with Norse Mythology (which I’m keeping at work to read in those elusive lunch breaks), so nothing to report there. Misery was great, as expected! My review will be up on Monday! Vote Now! Four writers will write a short story based on the winning prompt. 30 Days of Horror – what will day 4 bring us? For obvious reasons, everyone is talking about IT at the moment, so because I’m like a petulant child who has to be different I’ve chosen Under the Dome for today’s 30DOH pick. Dale Barbara, Iraq vet and now a short-order cook, finds himself teamed with a few intrepid citizens — town newspaper owner Julia Shumway, a physician’s assistant at the hospital, a select-woman, and three brave kids. Against them stands Big Jim Rennie, a politician who will stop at nothing — even murder — to hold the reins of power, and his son, who is keeping a horrible secret in a dark pantry. But their main adversary is the Dome itself. Because time isn’t just short. It’s running out. Also don’t forget to vote for your favourite horror story prompt HERE. Happy hump-day, you guys! I’ve slowly been getting back into the spirit of things after the whole WordPress meltdown. 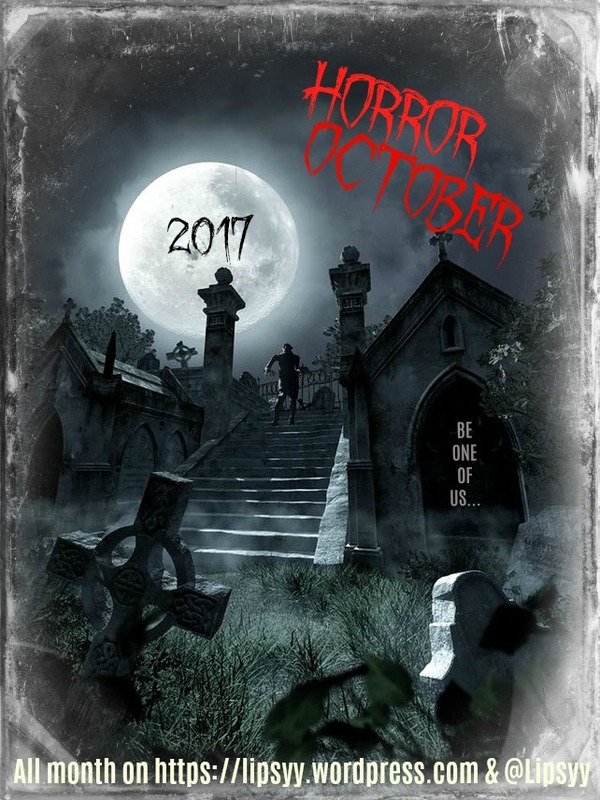 I’m so behind in planning this year’s Horror October now, but I’ve officially decided IT IS happening so that’s something! I’ll be posting about it soon so keep an eye out if you’d like to get involved. I’m not sure if I’ve ever read Misery before…is that weird? Anyway it’s been on my TBR shelves for a few years so it’s about time I picked it up either way. I also picked up Norse Mythology which I’m keeping at work to read in those elusive lunch breaks (so it’ll probably be a slow process and up here for a good few weeks)! Weycombe was a good read, but not amazing. My review went up on Monday. I felt much the same about Killing the Dead which is a short, World Book Day book by one of my favourite British authors. I’ll probably do a short review soon. Next: ??? 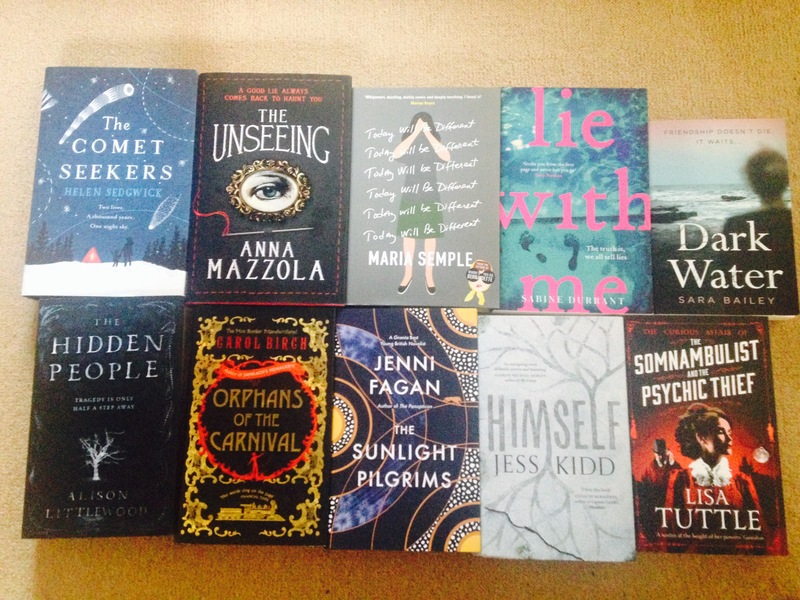 I’ll be making a start on my next lot of ARCs that I requested especially for Horror October (more on that soon)! First on the agenda is The Silent Companions, and I Am Behind You. 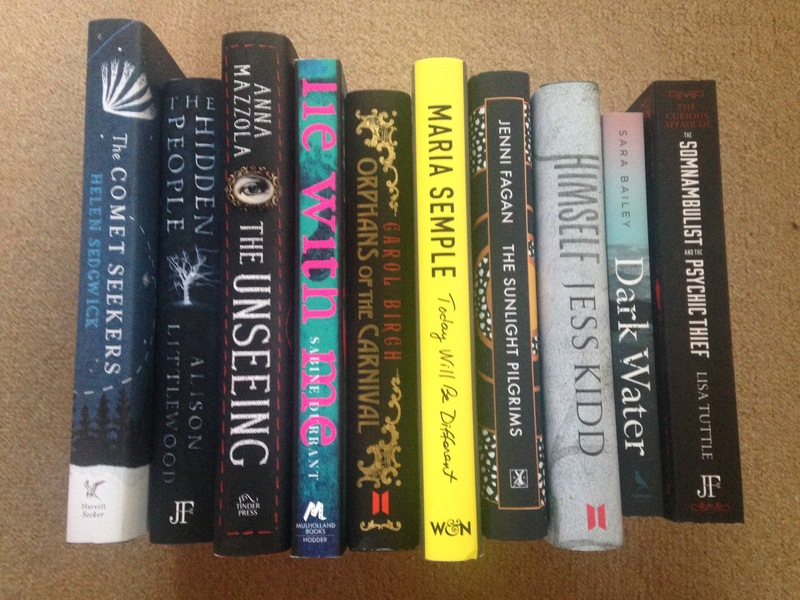 I got a bit of a windfall from work last week when lots of beautiful new books were donated to us and I got to take some home (because there were seriously sooooo many!). The perks of being a librarian, ey!? ❤ The downsides however – space & time!!! Children of Blood & Bone, because…well, just look at it!!! So that was my week in books, how was yours? If you’re participating feel free to leave your link in the comments so everyone can take a look!